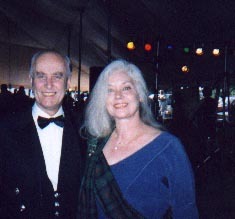 Daphne with David Ross, Chief of the Clan Ross, who, along with his lovely wife, the Lady Ross, so graciously flew all the way from their home in Scotland to preside over the games in Glasgow, Kentucky in 1999. 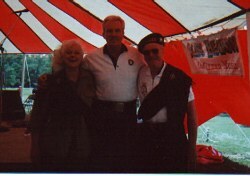 Daphne and I with one of our favorite Scots, Alex Beaton. 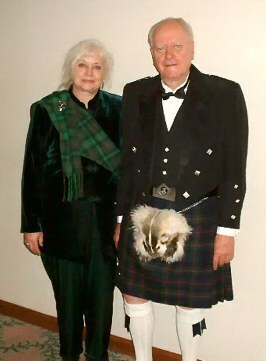 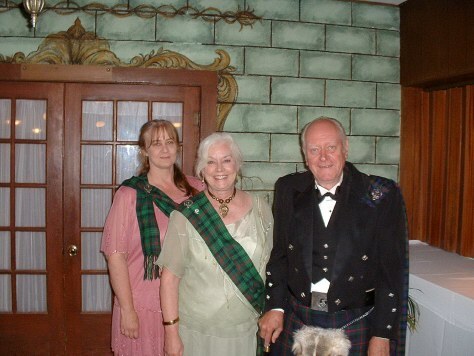 Daphne & I at the Burns Supper at The St. Andrew's Society of the Ozarks, Jan 2004. 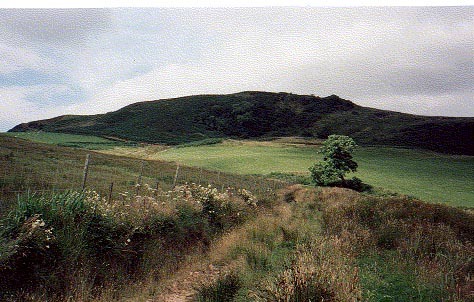 A view of Daphne's ancestral home, Lagnacraig, on Tirfergus Hill, near Campbeltown on Kintyre. 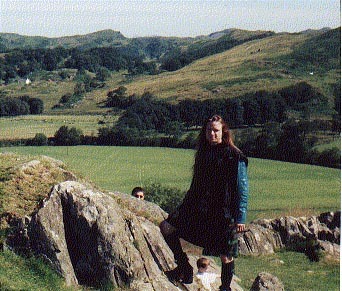 Daphne's son, Chris, at Dunadd. 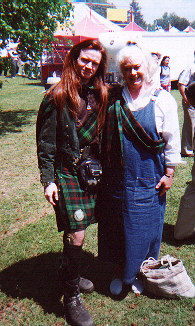 Taken in 1999. 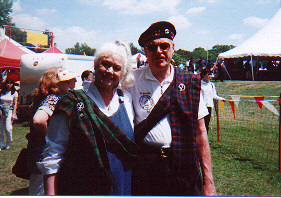 Chris & Daphne taken at the Arkansas 2000 games.